Personalized yoga sessions designed just for you. This is a perfect way to recover from an injury, create balance in your body, start a new yoga practice or deepen an existing one. 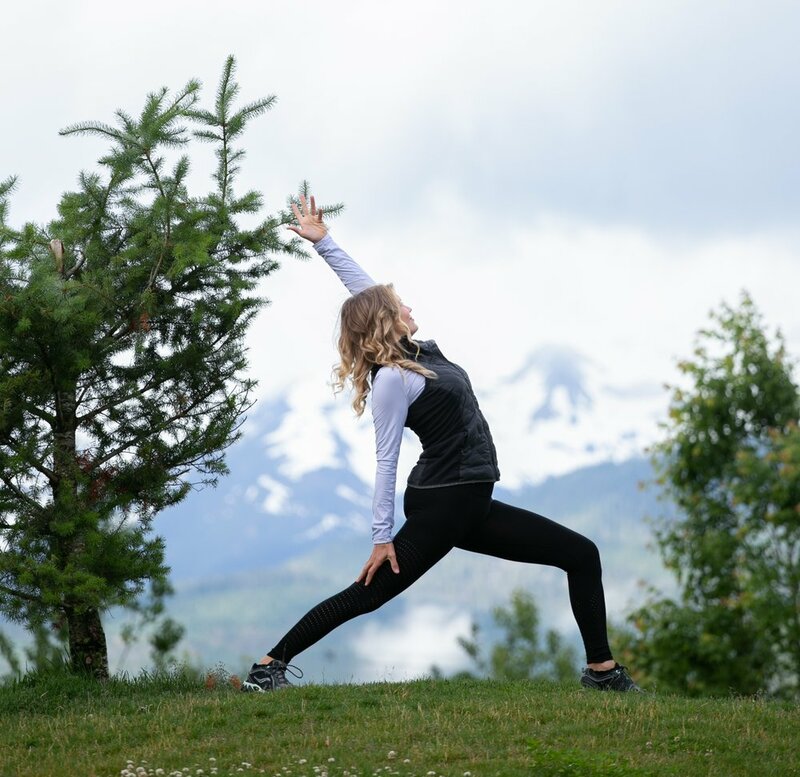 With over 14 years of teaching experience and a broad range of yoga styles/trainings, Robyn draws from different yoga modalities to customize a private yoga class or 6 session package to meet your own very unique needs. Single classes are held at Elliv8 Studio and 6 session packages offer an option for you to enjoy your sessions in the comfort of your own home. Elliv8 Wellness Solo 2 Night Retreats start from $950 for one person. The retreat is designed to provide the overworked, the tired, the stressed and the burned-out, a mountain-haven of peace and quiet, nature and nurture. Robyn's passion for wellness, recognizing beauty in the world, and helping others achieve balance aligns her with others who share these same values. Robyn is a massage practitioner, yoga teacher and student of Bhakti yoga. With Yoga Teacher Training Certifications in Yin, Anusara, Hatha and Yoga Therapy, and over 700 additional hours in ongoing education over the past 15 years, Robyn's classes are like no other. She possesses a wealth of knowledge in functional movement, alignment, anatomy, breath-work and energetics - offering her students sessions that are uniquely created for the individual. Robyn is completing her Registered Massage Therapy education in 2019, and currently offers Swedish and Deep Tissue massage. Ready to step on the mat with Robyn? Time to treat yourself to a massage? Want to find out more about our mini-retreats? We'd love to hear from you! You are only steps away from creating a balanced body and a calmer mind, or a conscious getaway to soothe your spirit.